Hey there mates and femates, Nightmare Team is back to take a short break from 100 Rooms of Enemies to present a different kind of romhack: one relating to our sorta unnamed extended universe. 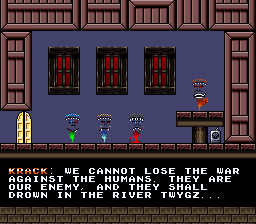 Krack the Hack is a game where you take control of a recently-transformed Koopa named "Krack Koo 'Von' Kaizo" [lots of Ks] where you break out of prison to gather keys from all around the land of Konamina to free the Rixzo race from Bowser Koopa and his minions. Rejoice! It's not the Koopalings this time! Each stage's objective is to gather all the keys in the level. Some have four, some have eight(! ), some have one, and some are challenge gauntlets! 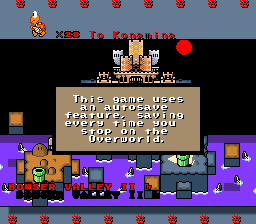 You can expect fancy ASM work from the various cutscenes, the overworld, and even some levels get a special treatment! (Brought to you by the brilliance of Mellonpizza, who also worked on stages! Look out!) If that's not enough, there are secrets in every level! Some even have small little easter eggs, so go on hunting! Krack the Hack is currently part 1 of a series we're developing that leads up to Daizo's Journey: The Three Way War (uhm, f**k yeah? ), which is why the story seems to clue in on details similarly to The Second Reality or The Devious Four Chronicles. We're fans of both franchises, so we thought to bring our own spin to the "Mushroom Kingdom Extended Universe" concept by focusing on characters besides Mario and the gang to explore characters and locations outside of the Mushroom Kingdom and it's worlds. As big fans of Super Mario Odyssey and the Mario RPGs, we're not shying away from including things that seem out of place otherwise in the Mario setting. As such, our series is not canon to the Mario franchise, but entries from the latter will influence our stories. That being said, we do like ourselves easter eggs and references, and similar to games like Conker's Bad Fur Day, you will find at least a few nods to other media in every installment. So if you're looking for an SMW Mod Franchise that is full of mystery, charm, seriousness, humourous, and all; you'll find it here. 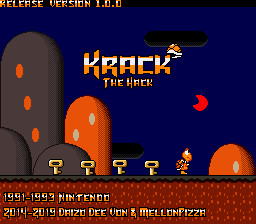 A very special thanks goes to my partner MellonPizza for his hard efforts on Krack the Hack; if it wasn't for him this project wouldn't exist in it's polished state. As I said, he is responsible for most of the coding, level tweaks, and even making levels himself. We both consider it a co-operation on one project, which is why he too is the creator of this SMW Mod and not just me (even though it initially started that way. Same with 100 Rooms, tho he's way more involved in that). Another special thanks goes to my subscribers and fans who have been supporting my works, no matter when they started watching or playing content of mine or his. I hope you all enjoy the game. If not, well, constructive criticism is always nice too. We'll improve! A fair note: most of the ASM effects in Krack the Hack are more focused on the small details than big-scale effects such as bosses. If you're looking for "the new Brutal Mario", this SMW Mod is not for you. This is for those who appreciate the smaller things that ASM can bring to create a world that is alive. As stated, it is a short experience, probably will take about 2-3 hours to complete 100% if you're good at finding secrets. But that being said, give it a try! This hack is pretty decent, I will look forward to see more of this 'trilogy'! We've updated to v1.1.0 due to bugs that we somehow missed during testing, so now the game should actually be beatable 100% (all levels did work, but said secrets didn't which are required essentially). Sorry! This stuff happens sometimes, but luckily we caught it on Day 1 of release. Thanks man. Yes, get ready because some of the next installments are in development as we speak for this ""trilogy""! 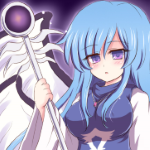 EDIT: Okay hold your horses, apparently Lunar Magic corrupted v1.1.0 as I was locking it. v1.1.1 is now released and can be beaten for real! KKK looks like fun character, but sorry bub, no hack can escape the shadow of those trailers. Edit: I'm returning with more feedback once I play a bit of this. And so Krack the Hack is accepted despite a certain level existing in it. Now you guys can either just download v1.1.1 and put up with some tiny details, or you can go see the new v1.1.2 where everything is as good as it can be for now. KKVK is a fun skin ain't he? Those trailers had quite a bit of effort put into it but oh well they're bad I guess. I really like the bonus challenges unlocked when you complete the main game. It's a really neat way to give the levels some replayability. No idea how to achieve some of them though. Also a small bug report. In the "Extras" Checklist screen, you can move the arrow far past the end of the list. You can scroll back up with no issue, but you can't scroll up past Highlight Heavens. Is there any other context to when this occured? Since I tested a number of times trying to go beyond the limits of the menu across it gaining more and more entries, there's something else specific that would be going on to make it do that. This happened immediately after completing the game and reloading the save file. I saw the box, opened it, and tried to scroll to the bottom. This bug has been addressed for now and should be fixed in a following update, thanks for pointing this out! The hack is nice, and pretty cool that it's gonna be a trilogy as some other trilogy SMW hack games I've seen were really good, even though they became incomplete at some point.
. Sometimes even background details have more meaning than you might expect. For the next year or so, we will be working on 100 Rooms of Enemies: The Nightmare Edition again and also the teased game revealed in the ending. Maybe something will happen this Summer C3, tho most likely it'll be more information on what we're currently working on. Maybe a small release, but who really knows. v1.2.0 is also currently being worked on, tho it'll be released later on since we know how much trouble and stress we caused to the hack moderators haha. We want to make sure we can iron out the existing bugs, and as you saw Mellon has already fixed the "Extras" Check List. We'll be around to check the thread until the forum closes, so if you have any other feedback you want to post we will take it into account also. I don't know why i overlooked this thread so far. This hack is great and especially the trailer is amazing. Even if not too much of the hack per se is shown in the trailer, the effort you've put into this still is very evident to me. I don't have much time to play it currently, but i surely will give it a try once i'm more free. This certainly will be a rather great experience! the intent is to follow the koopas where the mushroom platforms are. However to truly pull it off, you have to be on the ground with the chuck gone to do it. Then you have to walk (or run!) between the two points the bottom koopa turns around. Also both koopas have to be alive in order for it to work correctly. With that in mind, the sequel in House of the Hallow is about the same, only it's way more obvious I hope. We have made it a lot more forgiving to solve by adding multiple solutions in the next update, but we won't explain anything else about it. Hopefully the new version will be easier to get this particular achievement for future v1.1.1 and v1.1.2 players! The exact reason why we added it in the game, good sir. Oh trust us, we have a lot of plans for the series. I didn't put much gameplay in the trailers because I wanted new players to be surprised by the levels, tho that is a good point that maybe I showed off a little too less. But yes, good luck with the game. It's a "Very Hard" hack according to Eevee, so be prepared. But also have fun, y'know.